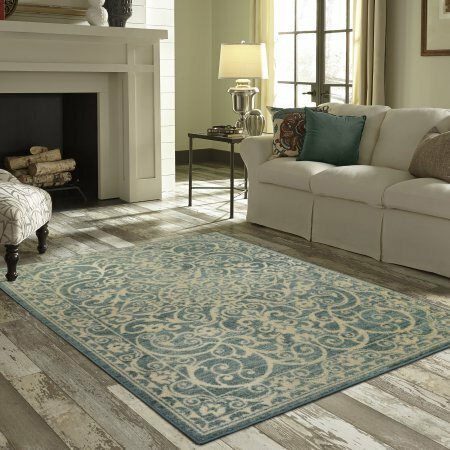 The Mainstays India Area Rug or Runner Collection adds a vintage distressed style to a traditional scroll design. The dual colored design features highlights to give off a luster-like sheen. Made with Dura-Back skid resistant latex backing to help prevent slipping, the Mainstays India Collection has a style that will be a focal piece from entryways, living rooms, to bedrooms.